In part 2 of the series looking at stars who never featured at a FIFA World Cup, Newsclick looks at Brazilian Heleno de Freitas, whose shot at glory with Brazil football team during his peak was stopped by the World War, and later, by personal crises. Brazil have competed at the World Cup since the beginning of time—hieroglyphs found in ancient Mayan tombs are a testament to this fact. Well, almost. They have won the tournament a record five times, and qualified for every single World Cup. Hell will freeze over before Brazil miss out on the World Cup. And all those appearances, guarantee one thing: If you’re Brazilian, half decent at the sport, have turned out in the yellow and blue a few times and scored a decent goal or two, chances are, you will, at some point of time, go to the World Cup. Hell, even Fred turned out for Brazil at the World Cup. No, not that one. This one. And so, it doesn’t make sense, when you learn that one of the few Brazilian footballers to have a Hollywood movie made about him, never played the World Cup. The movie, in fairness, does make that point early in. Worse still, in Brazil’s greatest moment of triumph—at the Rasunda Stadium in 1958, when they lifted their first World Cup—as doctors, patients and staff at an asylum in Barbacena, celebrated, Heleno de Freitas, locked alone in a room, filled his mouth with cigarettes, lit them and tried to smoke himself to death. A decade prior, de Freitas, whose playing days spanned from 1939 to 1951, had been Brazil’s greatest forward. He had dreamed of playing in a World Cup, of winning it for Brazil. What Pelé did at 17, he had yearned for all his life. For him, hearing of Pelé’s success was too much. He was prevented from committing suicide but, from then on, his dementia worsened. He ate the newspaper clippings detailing his triumphs, peeling them from the wall where a nurse had lovingly pasted them, and drifted deeper into decline. He died the following year, aged just 39. As Brazilian tradition demands, Heleno was spotted juggling oranges on the beach and signed by Botafogo [a Brazilian club based in Botafogo, Rio de Janeiro] at the age of 17. Two years later, he was in the first team, scoring goals, berating teammates and opponents, creating his legend. Born into a wealthy family, Heleno had qualified as a lawyer, but, by the 1940s, he was clearly never going to be one. He was the clear star at Botafogo. Fans sang carnival songs about him, and he responded by dancing the samba on the pitch. In between, he would score goals—lots of them. By then, though, the decline had begun. Heleno wasn’t just a great footballer, he was also a great drinker, a gambler and womaniser. He was, undoubtedly, the first bad boy of Brazilian football. He was addicted to ether, soaking a handkerchief in the liquid and sniffing it for a damaging high. At some point he contracted syphilis, but refused the treatment fearing the effect it would have on his career. All of these would’ve been enough to end a talented career, but Heleno had more faults. When he wasn’t scoring goals, or creating them, he was berating his teammates for not being good enough. 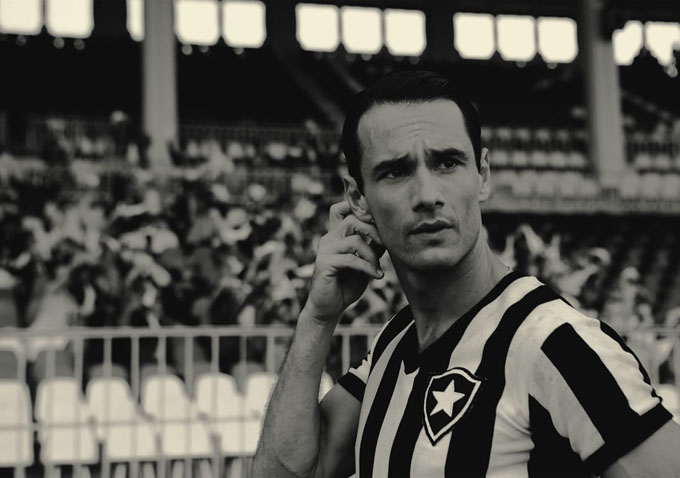 Botafogo finished second in the Brazilian championship in 1944, ’45 and ’46. In ’46 with Heleno up front, Brazil finished second in the South American Championship. All those second-place finishes did the job the ether couldn’t. Heleno came unhinged. After finishing second for the fourth consecutive season in 1948, he reacted badly and took his anger out on the locker room. Carlito Rocha, the president of Botafogo, decided the star was the problem and sold Heleno to Boca Juniors. For the club, it was undoubtedly the right decision: they won the league in 1948. For Heleno, it was a disaster. Without his wife to act as some form of check, he spun further out in Argentina. He hated the cold, enjoyed his social life, but never really settled. Within a year he was back, at Vasco in Brazil. Vasco won the title that season, but, for Heleno, it was an empty triumph. Pulled up for his lazy attitude in training, Heleno, returned to the stadium with a gun, placed it against the head of the coach, Flavio Costa, and pulled the trigger. Thankfully it was not loaded. After leaving Vasco, he joined the rebel league in Colombia, playing for the Barranquilla side Atlético Junior. By this time, Brazil were going to the World Cup, but Heleno wasn’t. Even a drastic return to form wouldn’t have earned him a place. Brazil had appointed Flavio Costa as coach. Brazil failed to win the World Cup, and Heleno still dreamt of one. He returned to Brazil in 1951, signing for the Rio-based club América. He made his debut for them at the Maracanã and was sent off 25 minutes in for abusing his own teammates. It was his final match. Within two years, he was confined to an asylum. It was a tragedy of Shakespearean cost. At the peak of his career, Heleno was failed by the World War, which put paid to any chance he had at World Cup glory. When it finally did come, his battles were very different, and in some ways, unwinnable. In New Delhi for the FC Bayern Youth Cup India finals, Bixente Lizarazu joins 420 Grams' Arjun Pandit and Siddhanth Aney for the special chat.